For those of you who are interested in reading music and taking exams we use the Rockschool syllabus. Phil has used this syllabus as both a tutor and student for nearly ten years, and achieved a distinction in his grade 8 exam in 2006. With Rockschool, students not only learn to play in a number of classic and contemporary styles such as Rock, Funk, Country, Jazz and Latin, but can also explore Drum n Bass, Metal and Afro-Cuban to name a few. As well as this, students will have the opportunity to develop other important musical skills such as improvising, sight reading and listening (ear tests). 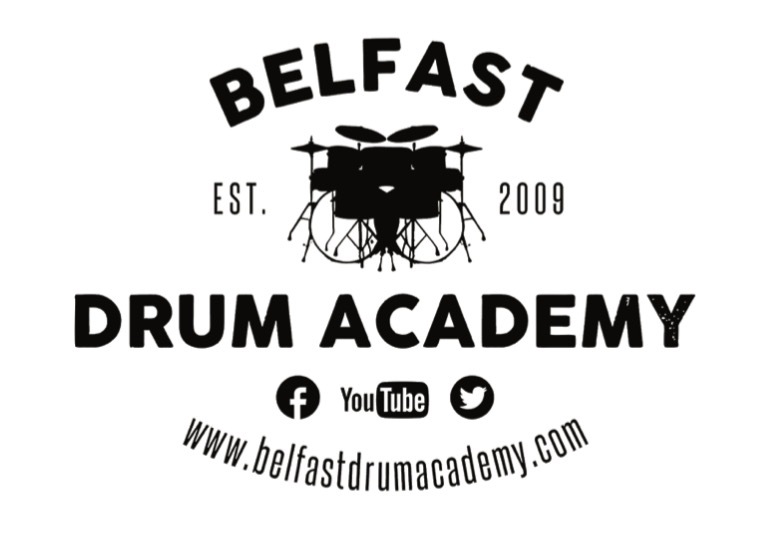 Students are given an opportunity to put all their hard work and practice to the test twice a year when Rockschool exams are held here in Belfast. Not only is this a positive step in building a students confidence, but can also provide vital experience for future exams or auditions etc. Students are under no pressure to sit exams if they do not want to, and will not be entered for an exam until fully prepared. Rockschool helps lay an excellent foundation for anyone who either wants to play music for fun, or to pursue music as a career. However, if you don’t want to read music or sit exams then do not panic, there are still loads of things we can do. You will be expected to practice, source music and rhythm ideas to work on at lessons, learn basic counting skills and learn simple rudiments like flams, drags and ruffs. We can work on songs you know and love as well jamming over backing tracks we have compiled, or we can help develop your sense of timing by playing along with a click track or metronome. We cater for students at all levels of ability – Beginner, Intermediate and Advanced. As a beginner there are a few key area’s that we will be working on as it is our primary responsibility to ensure you don’t pick up any bad habits that may hinder you through your drumming journey. We will be showing you the basics, like holding the sticks, adjusting your stool so that your sitting at an appropriate height, getting your kit set up correctly, addressing posture while playing, practice techniques you can use with or without a kit, basic counting, basic reading, playing a simple 4/4 rock pattern on the hi-hat, snare and bass. By this stage you should be up and running and playing the kit with a real sense of confidence. As part of your development we will be helping you play with more expression. ‘Dynamics’ is an aspect that a lot of drummers overlook until a much later stage of their development. This is something that we try to teach early on in a drummers development so it becomes second nature. Also at this level we can start to look at the complexity of the grooves and fills we will have been using up to this point. Speed, accuracy, energy and efficiency will all be factors. As well as this we will start dipping into different styles of drumming. This will really help with defining your own style plus it will give both you as the student, and the tutor, an idea of what direction you want to go in with your drumming and learning. At this point many of the building blocks will now be in place where you will have the confidence and the skills to take your drumming to the next level. A solid grasp of counting and time signatures will now be essential. If you intend to benefit from drum books or video tutorials on YouTube, you will definitely need a basic understanding of sheet music and the terminology that goes with it. Without these factors in place, your learning may take longer than you would like. We can also work on independence, linear drumming, solos, ghost notes, grace notes, and anything else you would like to learn. We will now be at a point where you can really start to push the boundaries of your drumming. 135 ALBERTBRIDGE ROAD, BELFAST, NORTHERN IRELAND, BT5 4PS.